Christine ~ Saanich site Farmer extraordinaire! Christine was the lead farmer and incredible force behind growing all the beautiful food that came out of Little Mountain Farm in 2018. Starting in the 2019 season she will be taking over production at the original Saanich farm site, bringing with her a wealth of growing experience and enthusiasm. She and Azja are excited to be collaborating as the farm expands onto two sites! 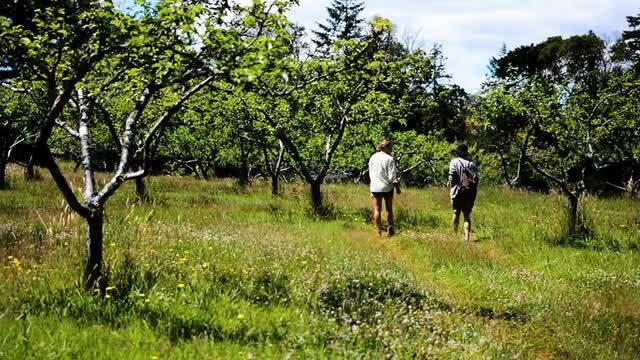 The farm has had a wonderful first five years in Saanich at the base of Pkols (Mt Doug). Azja is so excited to now be expanding production onto a second little mountain farm site in Cobble Hill starting in the 2019 season. Azja is so grateful for all the people who have been there along the way and have helped make this farm grow and blossom! We are looking forward to growing more food, on more land, as a team - to reach more local food lovers on the South Island. Thank you for being a part of our farm community! Check out the Little Mountain Farm video! Thank you to Alivia Nadeau for putting together this beautiful film to document the importance of local agriculture and the growing momentum of young farmers in the industry. Credits to Sophia, the farm's incredible apprentice for the 2017 season, who appears in the film as well. More of Alivia's custom film work can be accessed through the Vimeo link below.